Need a Place to Sleep? 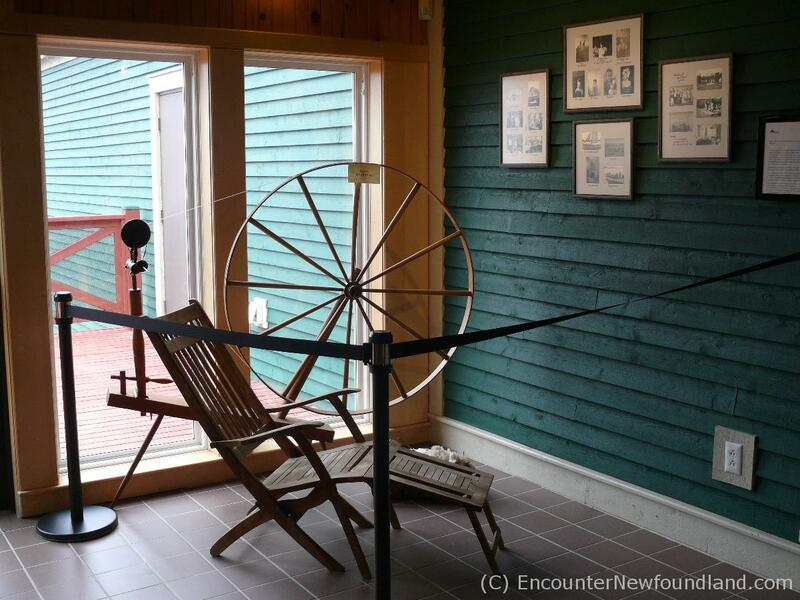 If you’re visiting the Town of St. Anthony on Newfoundland’s Great Northern Peninsula, the Grenfell Historic Properties is one attraction you don’t want to miss. 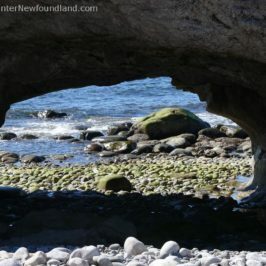 The history of the region is preserved here, and a visit to the properties will take you to a place and time that will leave you shaking your head in wonder. 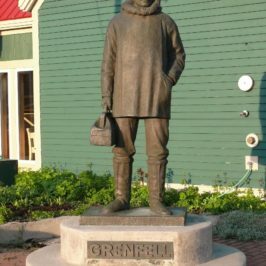 Sir Wilfred Thomason Grenfell is a celebrated figure in the history of Labrador and of Newfoundland’s Great Northern Peninsula. 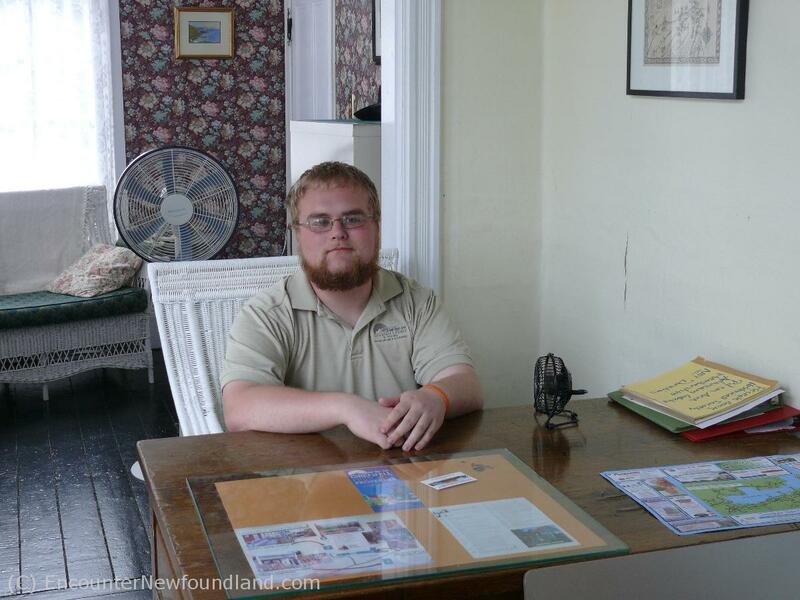 Doctor and missionary, he has long been lauded as the savior of a people through his perseverance and determination to render assistance to those in need, and his legacy is being kept alive in the Town of St. Anthony by the Sir Wilfred Thomason Grenfell Historical Society. 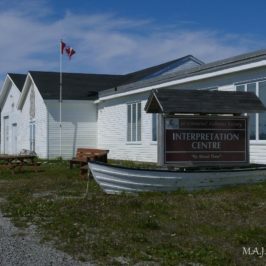 The continued work of the society has brought to fruition a decades long goal to collect, preserve, exhibit and interpret artifacts relating to the Grenfell Mission and its objective to bring to the impoverished people of Labrador medical and industrial aid, schooling and care for orphaned children. 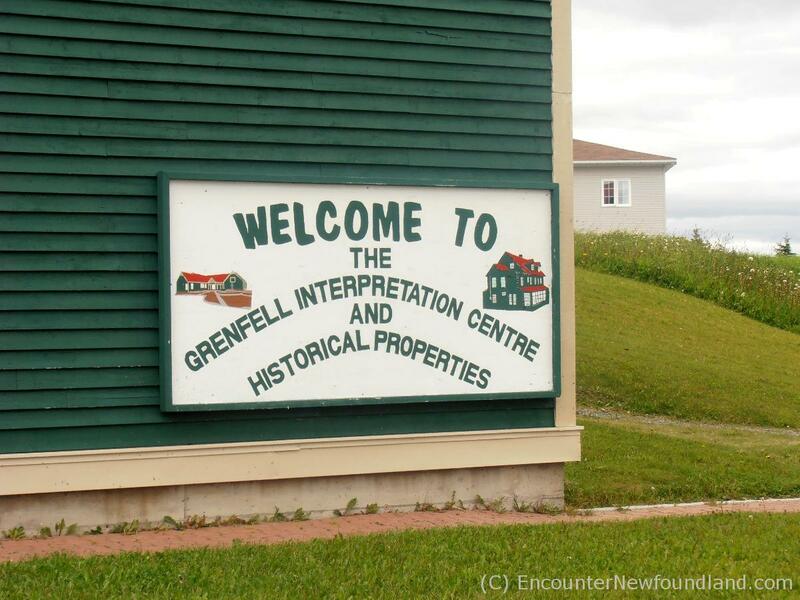 To this end, the society and its partners have established the Grenfell Historical Properties, an associated group of sites that celebrate the doctor’s presence in the region and recognize the positive impact of his dedication on the cultural and economic climate of the area during the early 1900s. 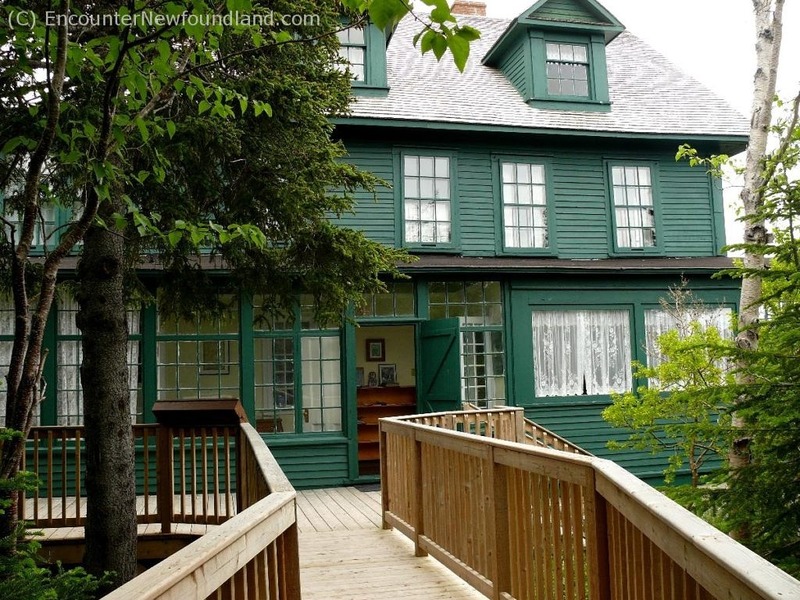 These properties, consisting of the Grenfell Interpretation Center, the Grenfell House Museum, the Tea House Hill Trail and Grenfell Park and Dock, also preserve and present the history–in film, photo, art and artifact–of the people of Northern Newfoundland and Labrador. 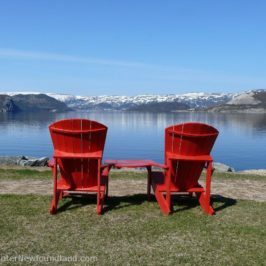 They highlight 100 years of hardship and stamina, recording the evolution of a stalwart people, and they are well worth a visit for those who seek to experience the history and culture of this harsh land and its beautiful inhabitants. 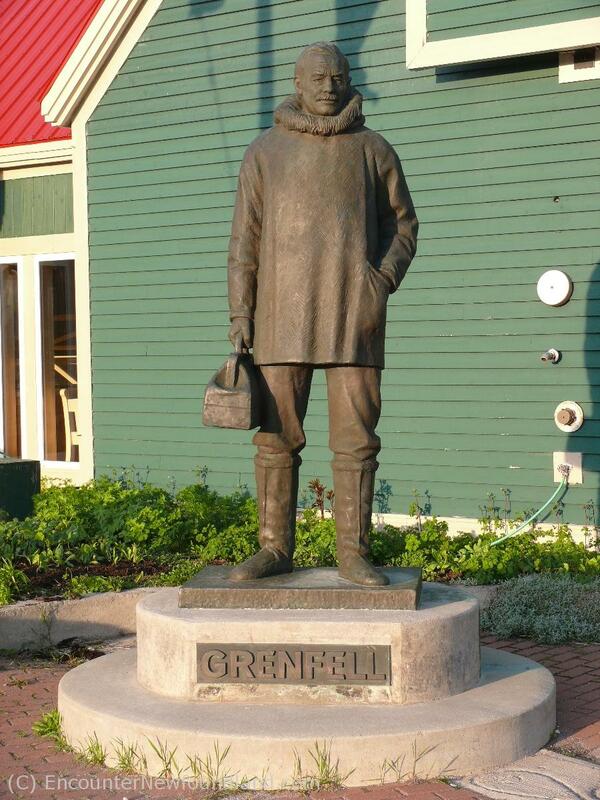 Visitors are met by a statue of Sir Wilfred Thomason Grenfell outside the Grenfell Interpretation Center. 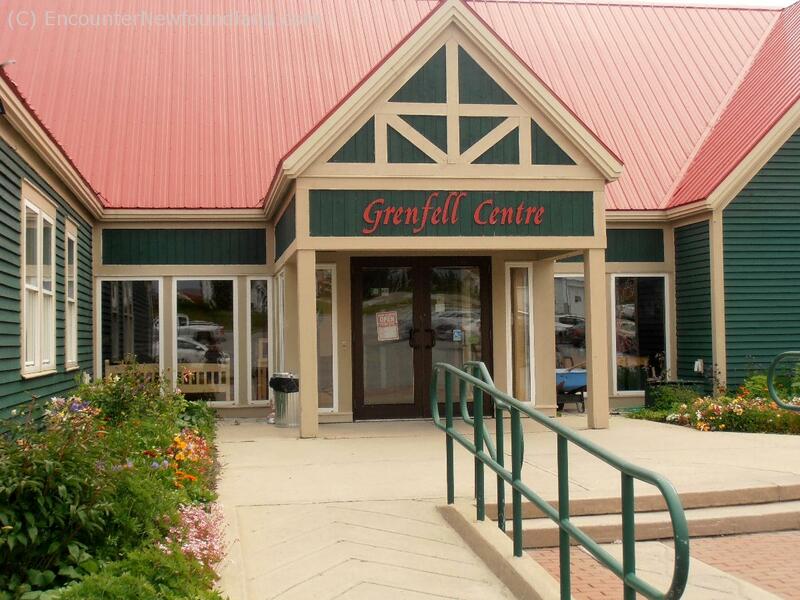 The entrance to the Grenfell Interpretation Center is lined with a cheerful display of flowers. 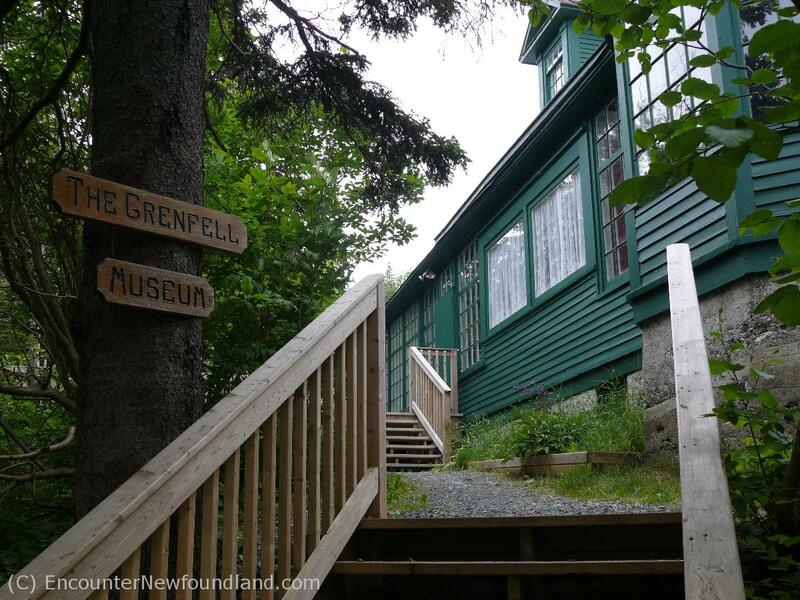 A sign welcomes visitors that come via water to the Grenfell Historic Properties. One of the many exhibits of artifacts and photos that tell the story of Sir Wilfred Thomason Grenfell. 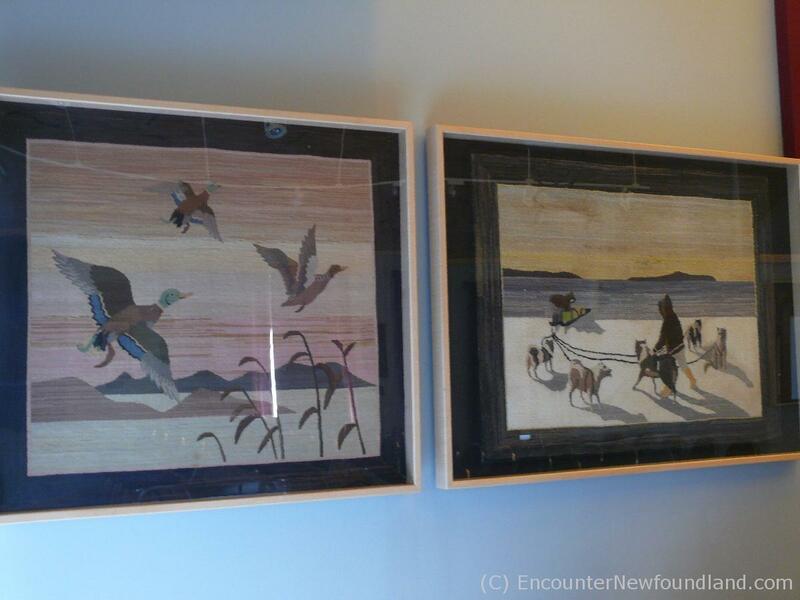 The walls of the center's audio visual room are adorned by silken art works. 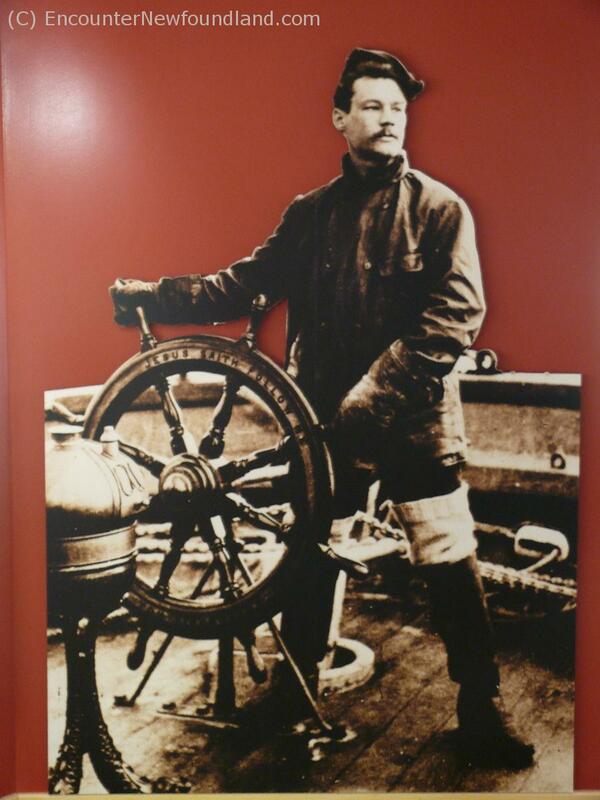 A portrait of the young Dr. Grenfell graces the entrance to the Newell Room gallery, which houses historical exhibits. 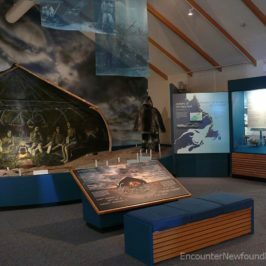 Inside the Newell Room gallery, the walls are lined with exhibits of artifacts, photos and interpretive panels to guide visitors through the history of the doctor, the land and the people. 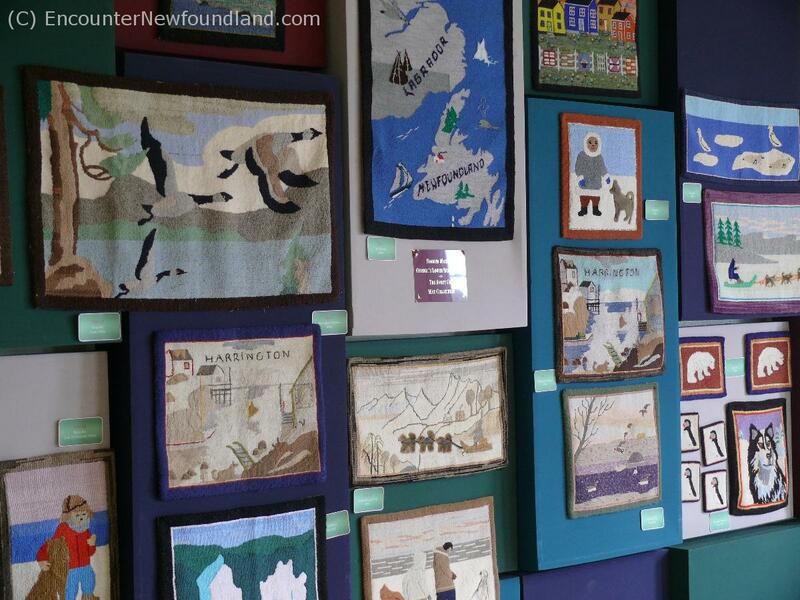 The walls of the Tea Room are hung with the Janet Cox Collection of hooked mats from Quebec's Lower North Shore. 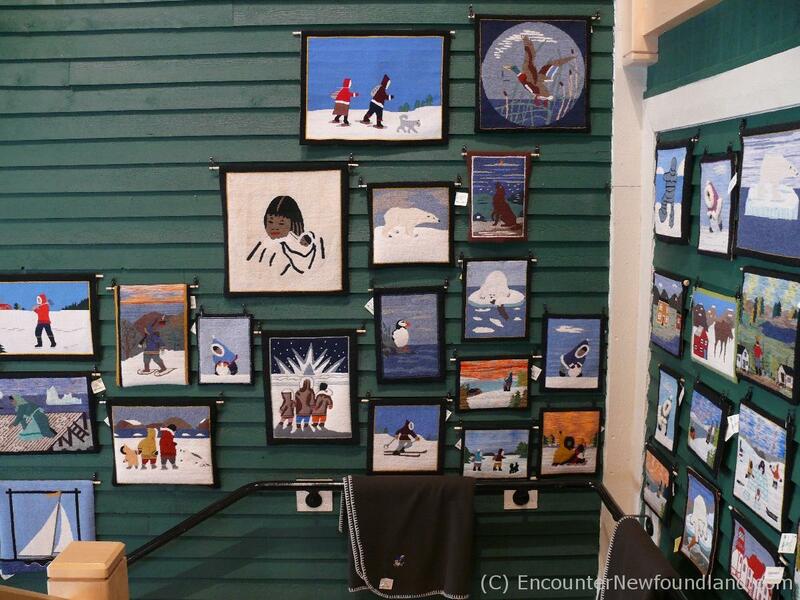 The entrance to Grenfell Handicrafts, located inside the interpretation center, presents a palette of striking works of art. 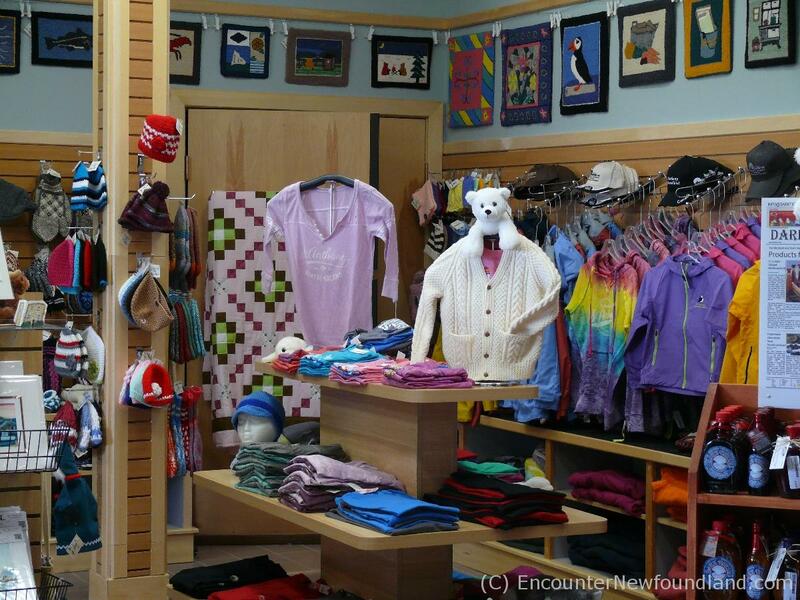 Handmade wares, gifts and souvenirs are merchandised in attractive, multi-hued displays in the Grenfell gift shop. 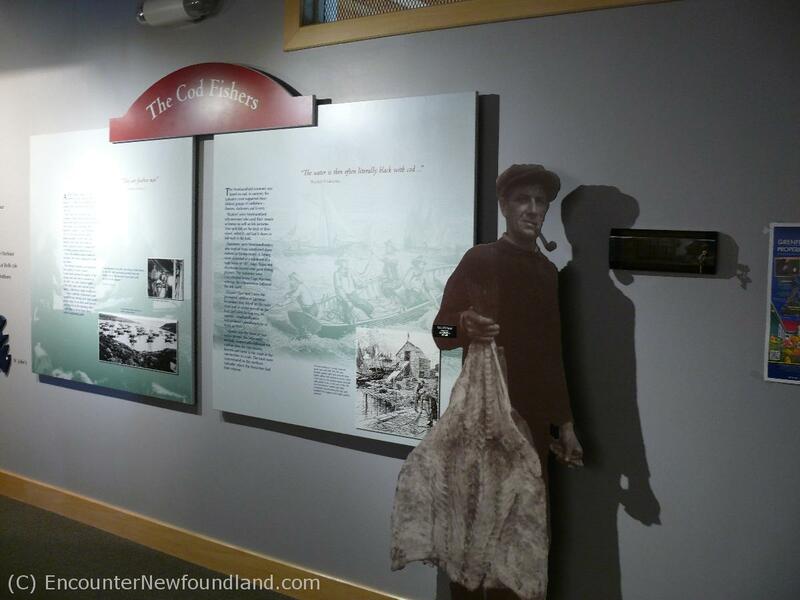 The ugy stick is a traditional musical instrument of NL that sports bells and a symbol. 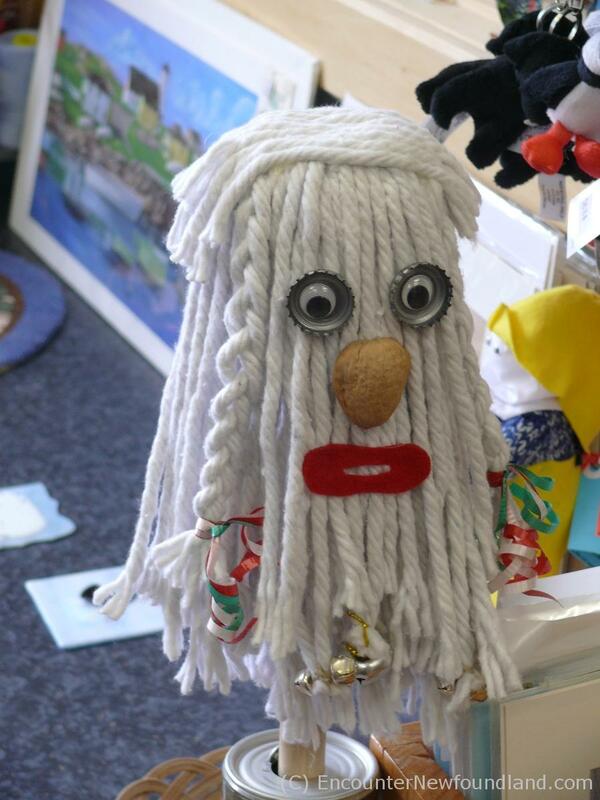 They're often very whimsical in design. 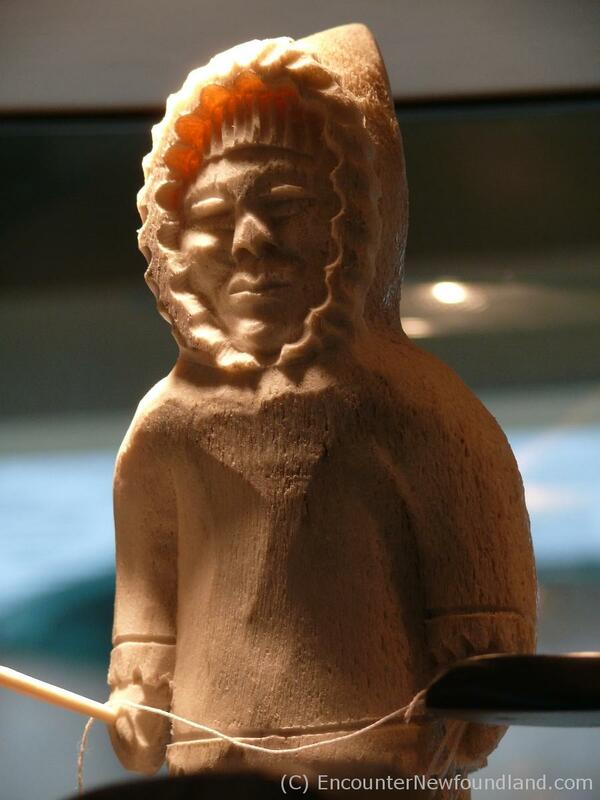 Traditional carvings of bone and antler are on display as purchasable works of art. 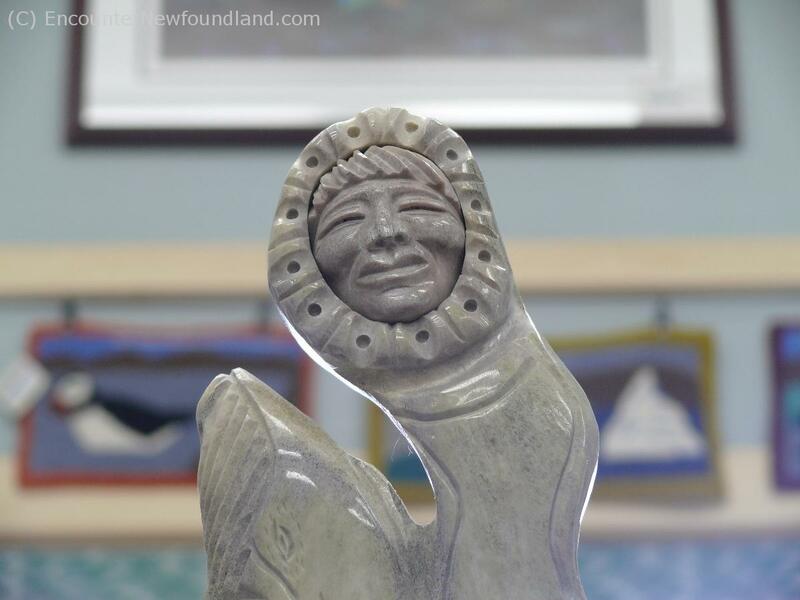 The people of this province are incomparable artists when it comes to carving. This work and others like it exemplify their skill and artistry. 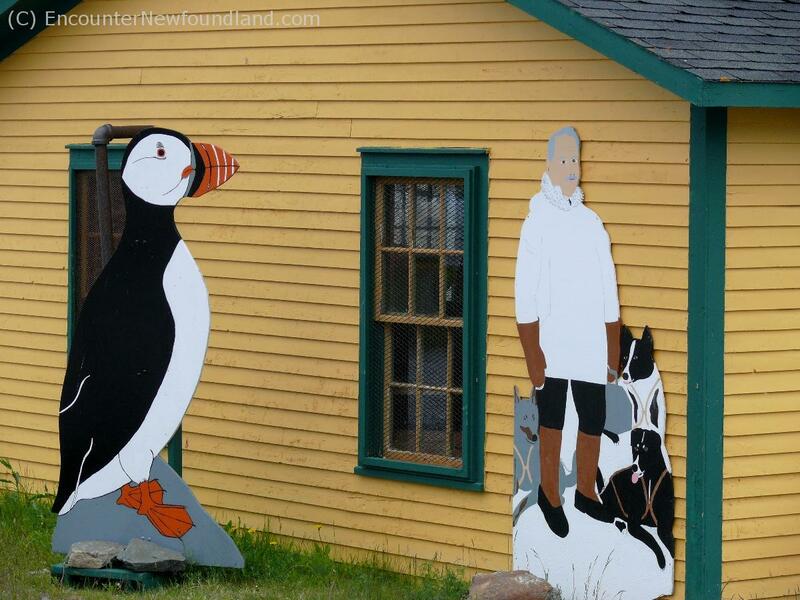 Boldly painted cutouts are highlighted against the sharp yellow hue of the Grenfell boat house. 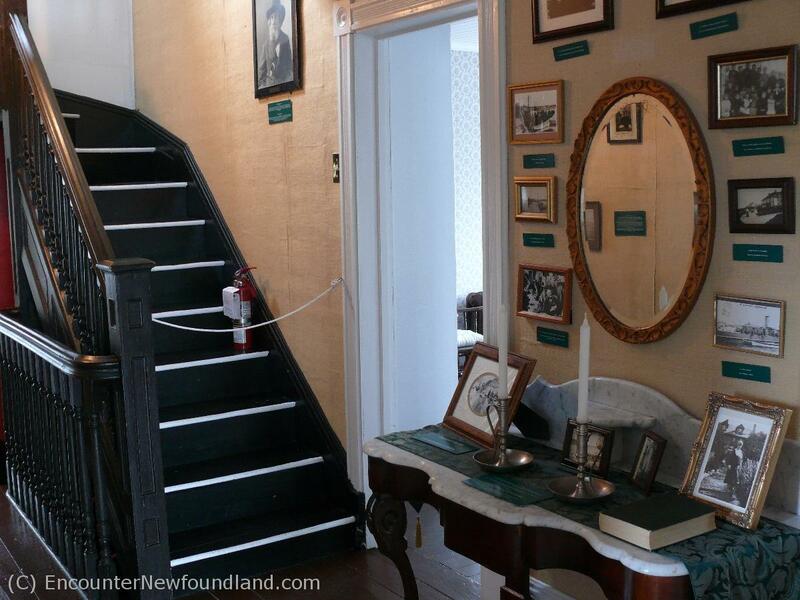 A pleasantly shaded wooden staircase leads to the entrance of Grenfell House Museum. 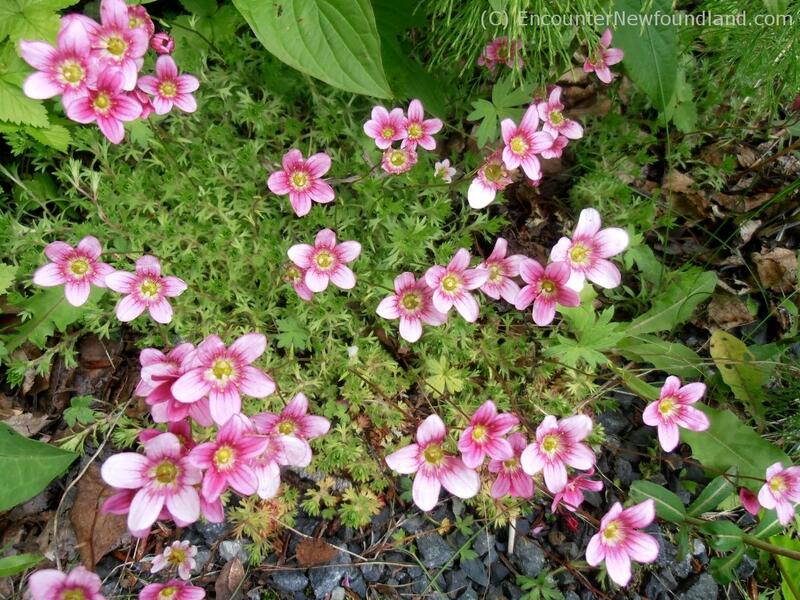 Delicate pink flowers bloom in a glorious profusion of color on the grounds of the Grenfell house. There is always a knowledgeable interpreter on site to answer any questions about the Grenfell home and its illustrious inhabitants of yore. 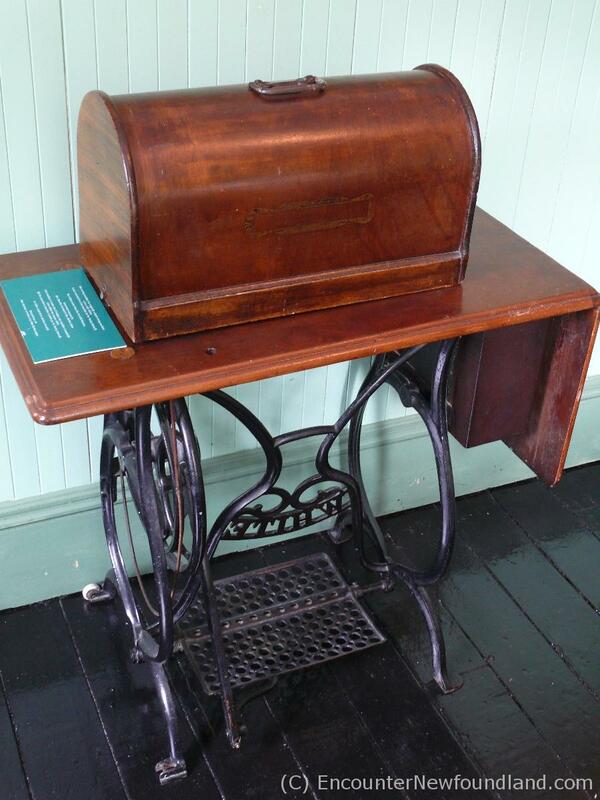 Lady Grenfell's sewing machine now sits unused, its owner having long since departed this world. The living room of the house looks comfortable indeed, complete with a piano for the entertainment of family and guests. 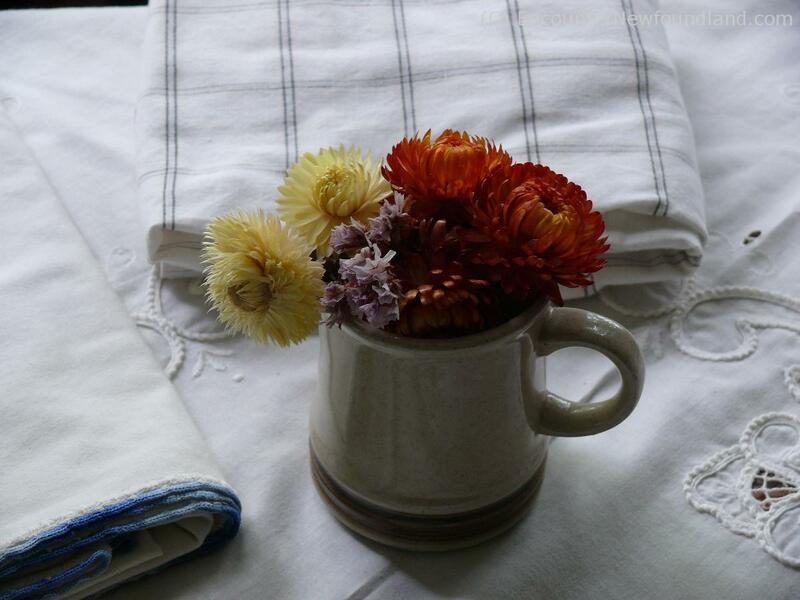 All about the house, you'll come across little touches of detail, such as this display of flowers and linens, that testify to the dedication of the museum's curators. No respectable household would be without a tea service. 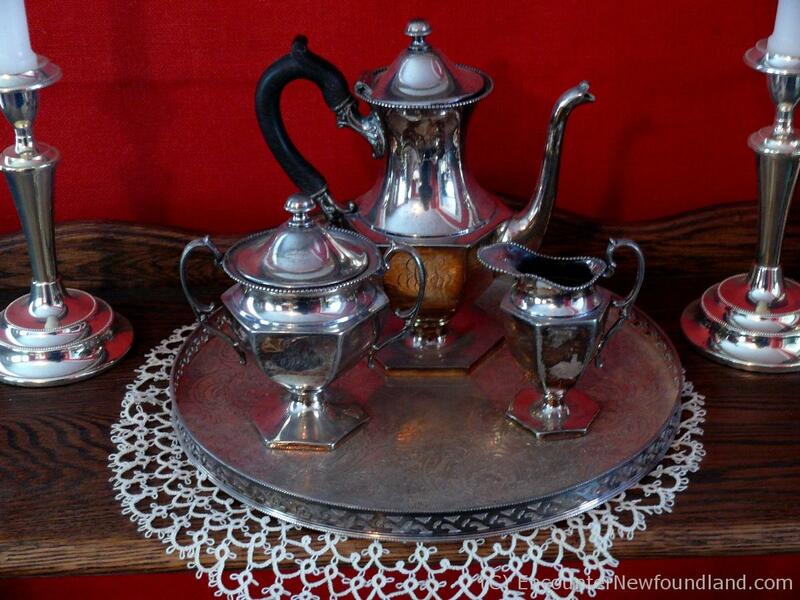 No doubt Lady Grenfell served many a cup from this splendid silver tea set. Time for afternoon tea at "The Castle". 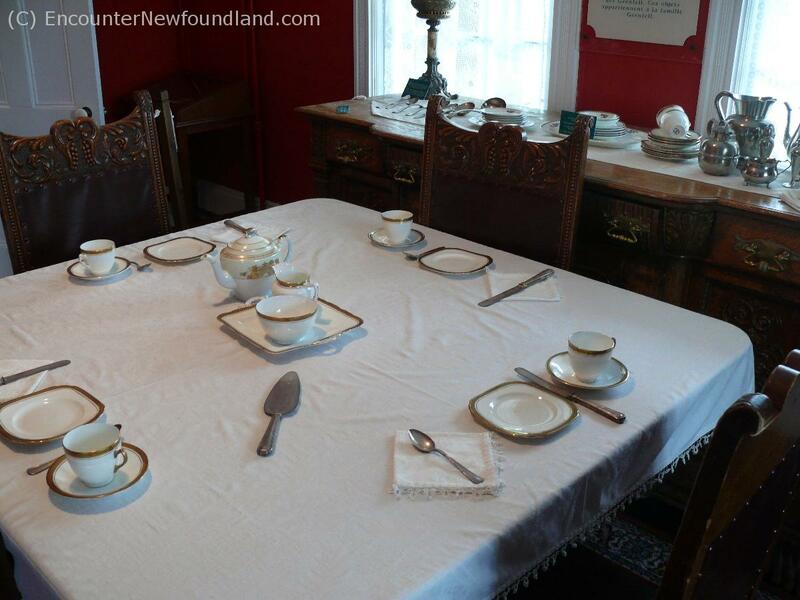 One can imagine the table spread with jams and pastries to go along with the china cups filled with a strong infusion. 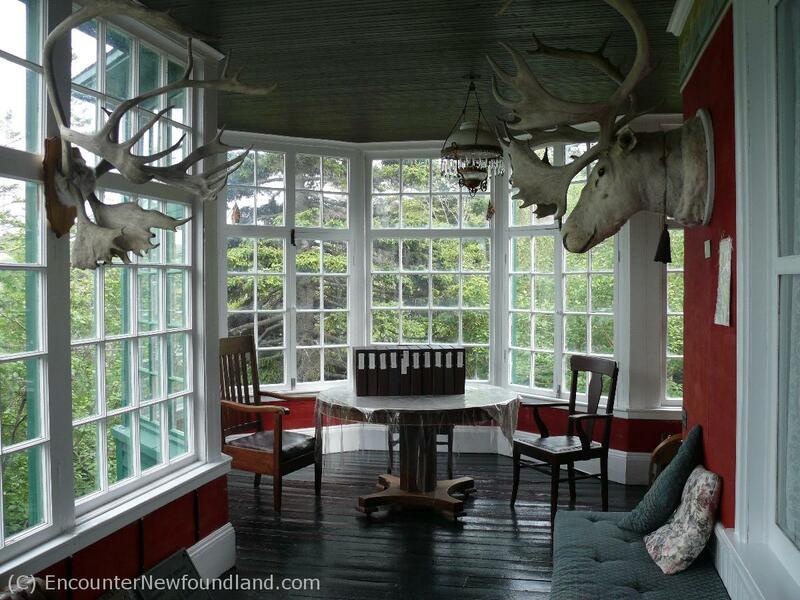 Sir and Lady Grenfell spent many hours of sunny comfort in this beautiful sun porch. 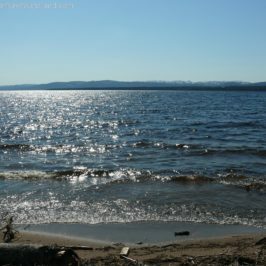 One can almost see them sitting at the table, enjoying an unhurried moment of camaraderie. 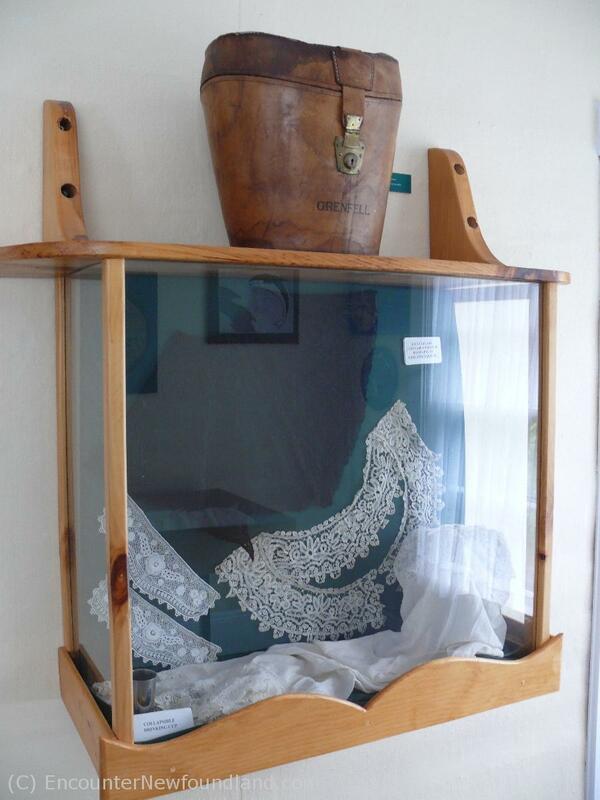 Lady Grenfell's lace cuff and collars, in the fashion of the times, are preserved behind glass. 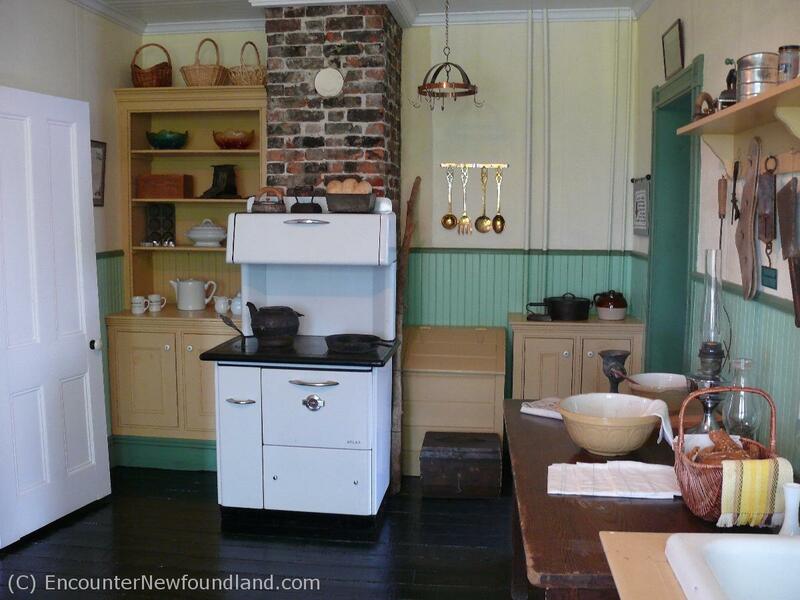 The kitchen of Grenfell House looks much like any other kitchen found in the privileged homes of the early 1900s. 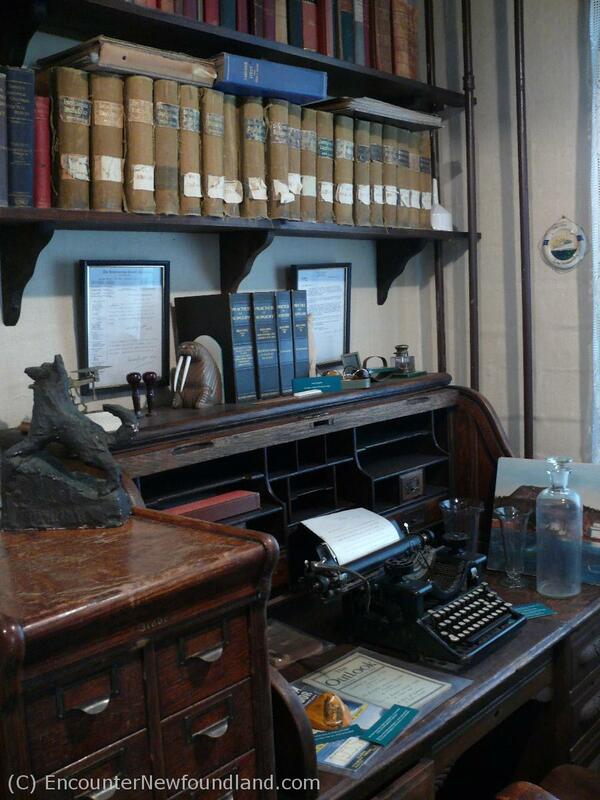 Dr. Grenfell's office, where he spent many hours writing his numerous books, is a study in manly interests and rigid organization. 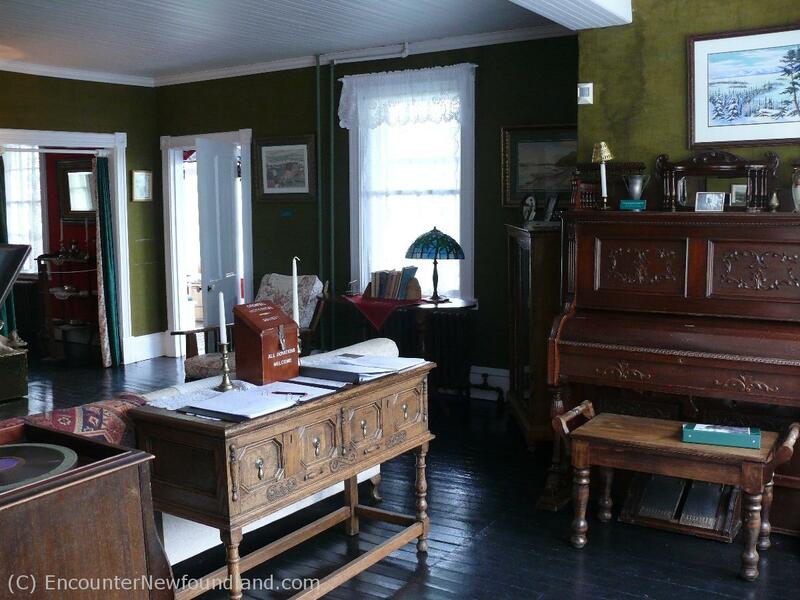 Photos and accolades vie for wall space in the upstairs hallway of the museum home, testaments to the important position Dr. and lady Grenfell held in society. A little girl's bedroom, complete with old toys, small sweater and rocker, leave one considering what it must have been like to grow up in the Grenfell household. 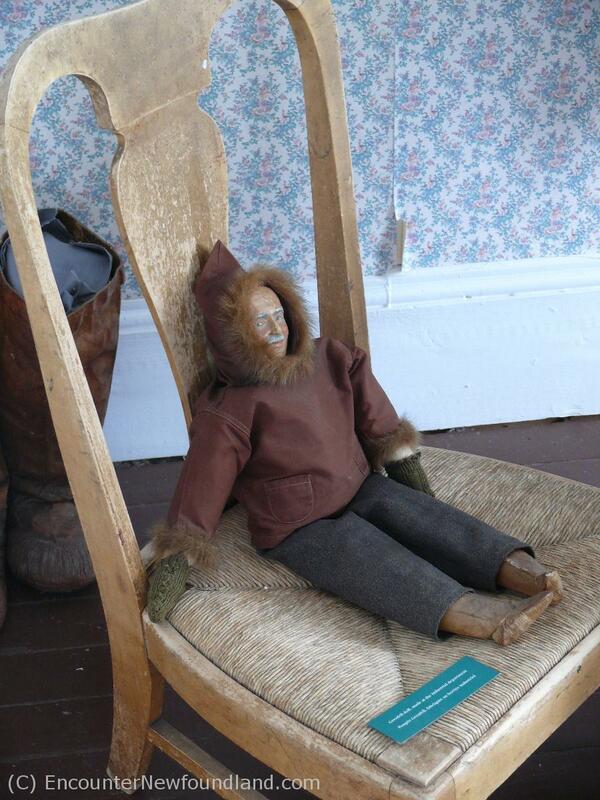 A rather creepy doll in the likeness of Grenfell himself stares out at visitors to a child's bedroom in "The Castle". 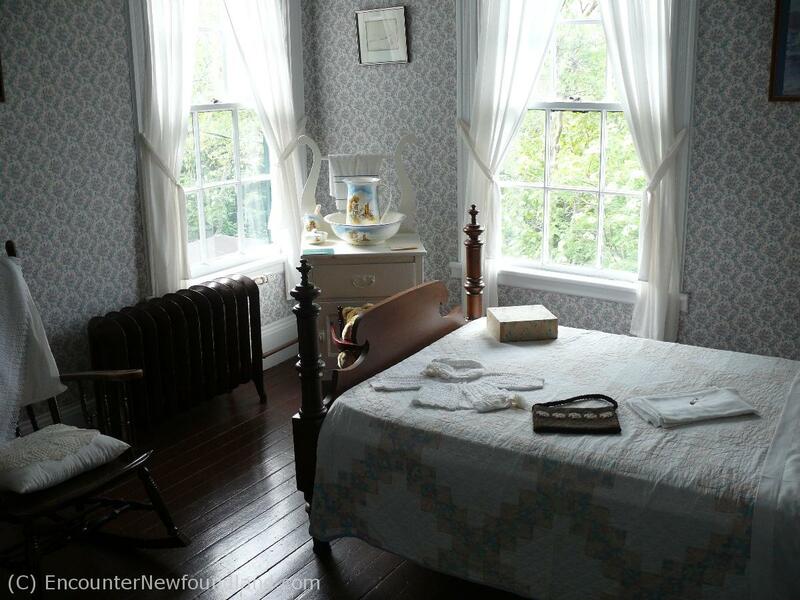 The master bedroom of Grenfell House is filled with the personal items of its owners. 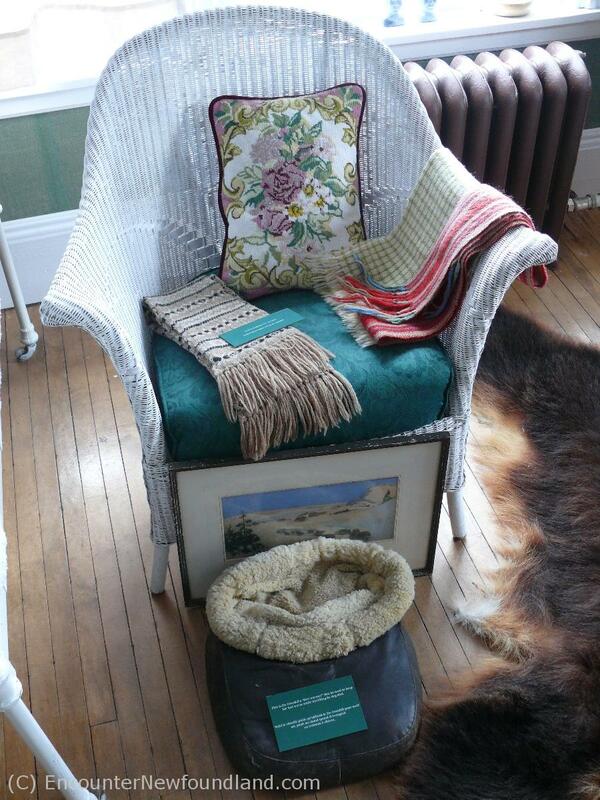 Clothing, linens and items of a more personal nature are available for viewing. Wash basins were essential to hygiene in the 1900s. 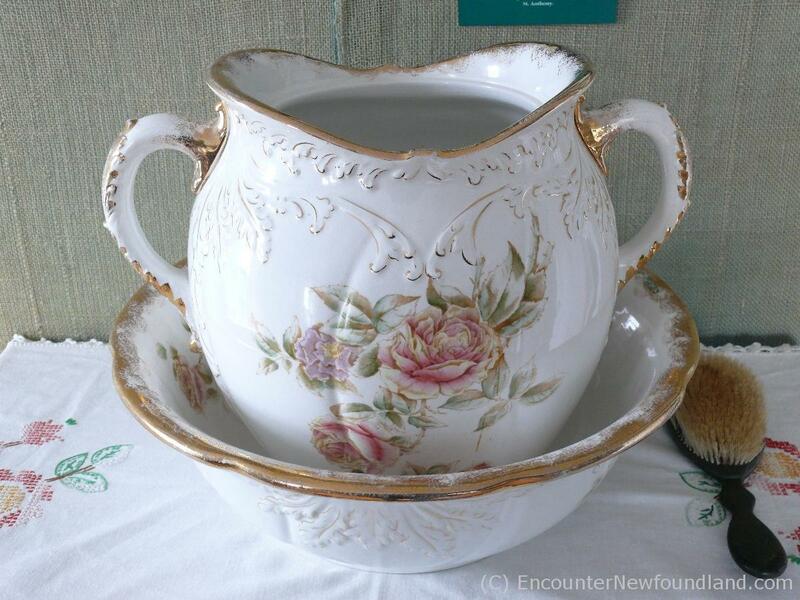 Lady Grenfell apparently used a beautiful China set for her morning ablutions. 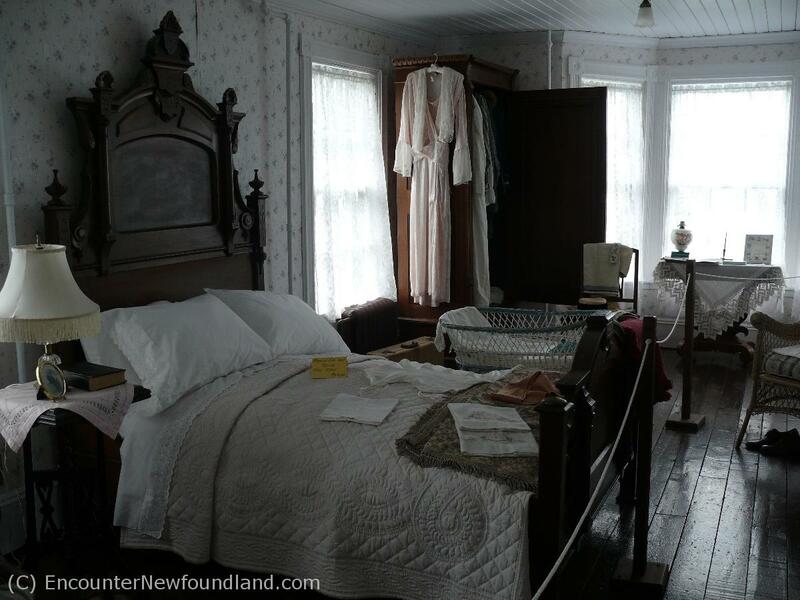 Artifacts of household life cover every available space in the house, enabling visitors to gain a sense of how people of circumstance lived in times past. 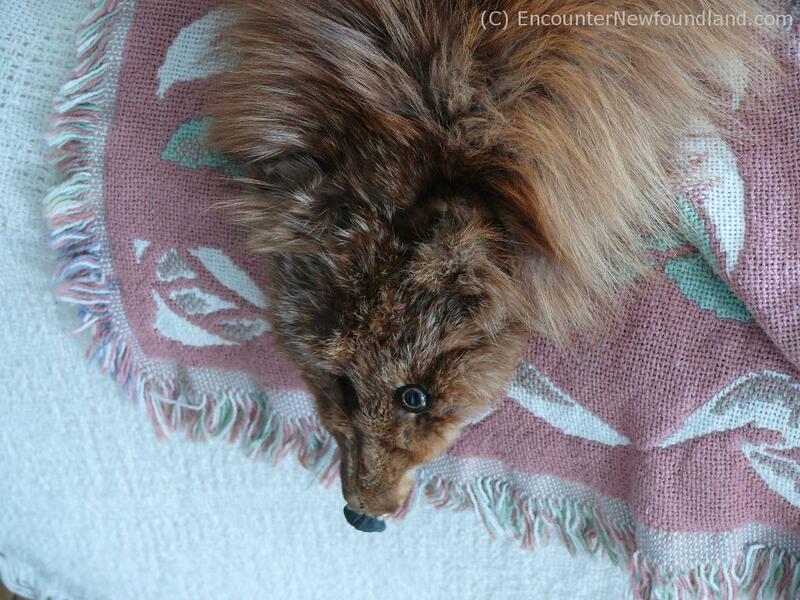 Lady Grenfell's fox fur lies strewn across the bed as if left there by a hurried hand. 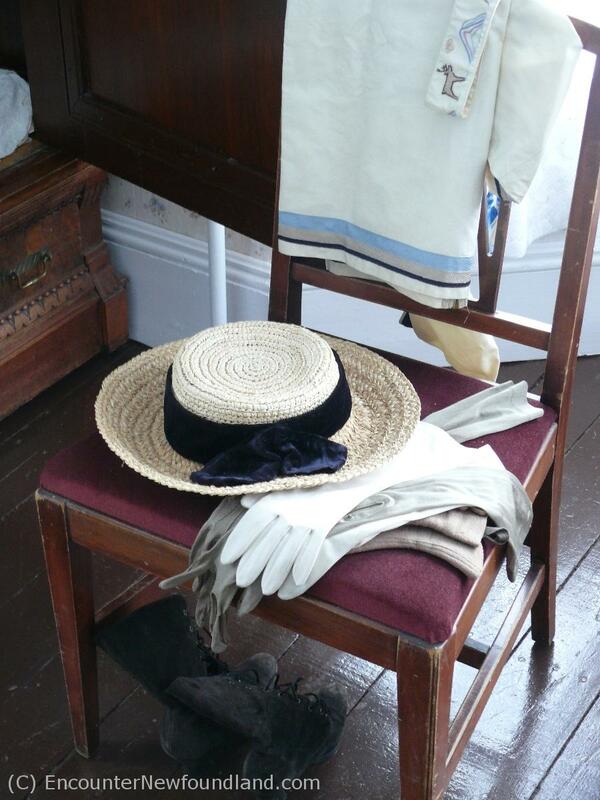 Lady Grenfell's clothing accessories--gloves, hat and high boots befitting a woman of her status--are casually displayed in the master bedroom. 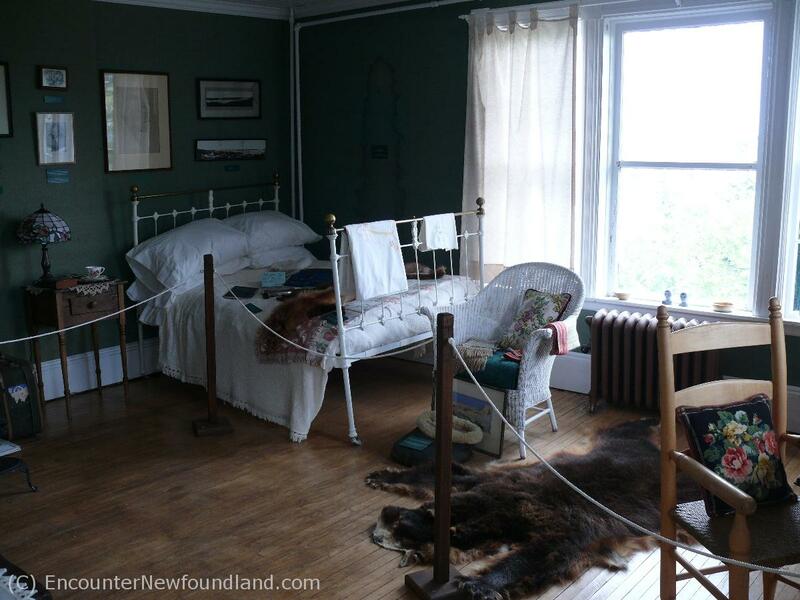 The second bedroom features a montage of accessories that includes the foot warmer used by Grenfell when he ventured out on his dog sled. 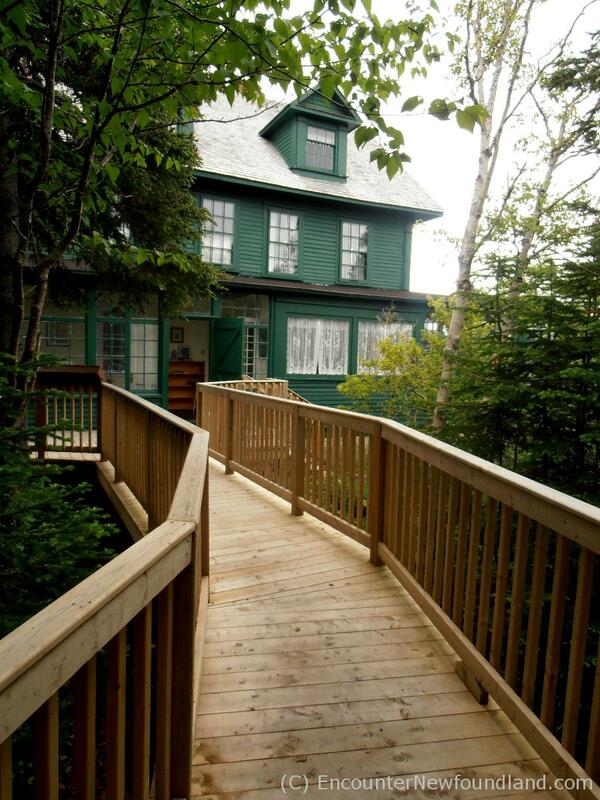 A railed boardwalk leads away from the Grenfell Museum house, marking the beginning of the Tea House Trail. 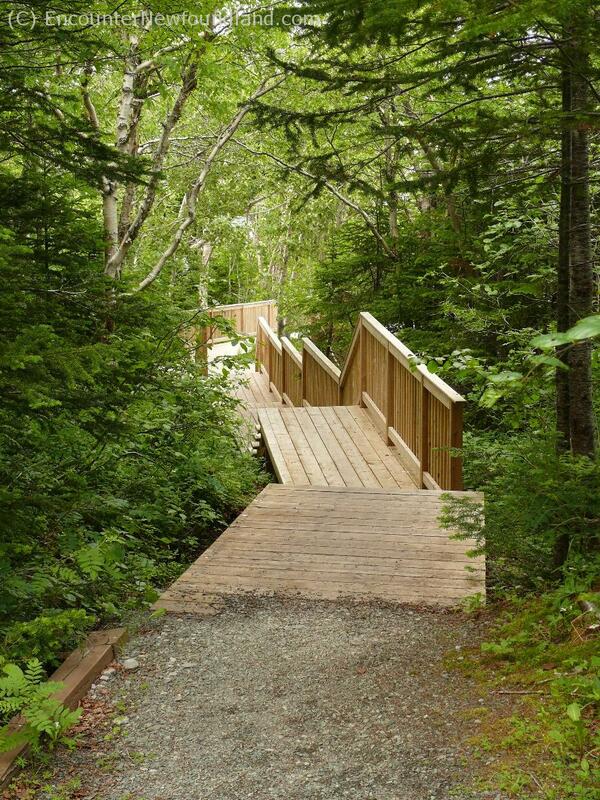 The well groomed Tea Hill Trail is a lovely walk through serene woodlands. This path behind the house was trodden daily by the doctor and mission nurses as they visited the tea house to relax after a hard day's work. 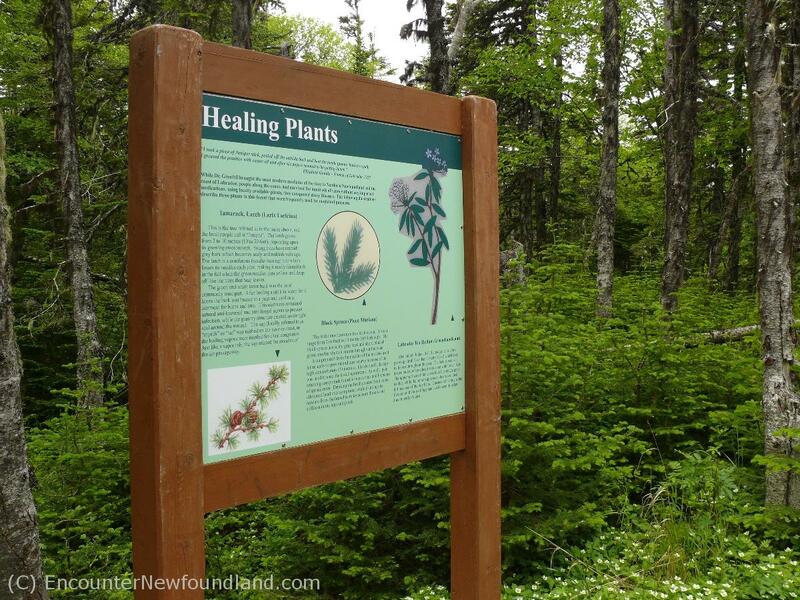 Interpretive signage along the Tea Hill Trail presents in-depth information about the flora and fauna of the area. 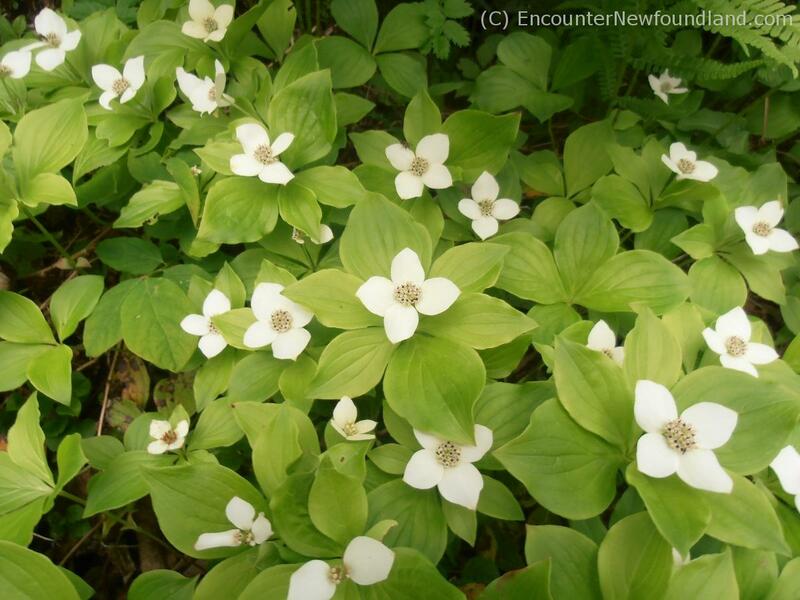 Dog berry flowers carpet the forest along the path to Tea Hill, making for a picture perfect stroll. A tea house once stood on Tea Hill. 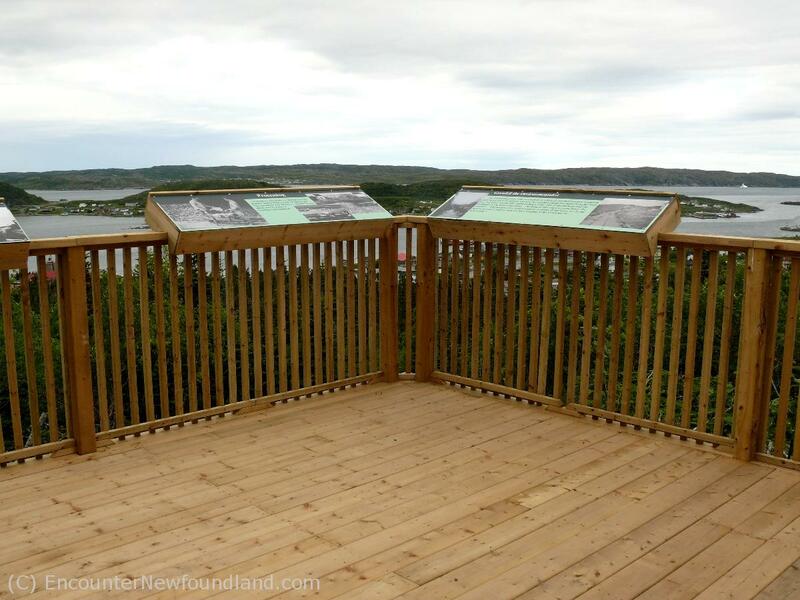 Now, a scenic lookout offers a view of St. Anthony, with interpretive panels that tell of the area's history. 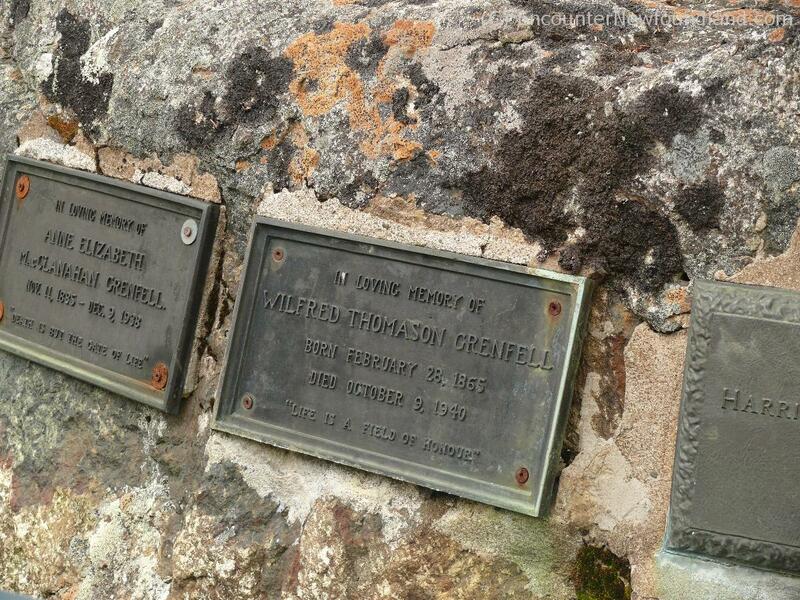 The stone tomb of Dr Grenfell his wife Anne and several mission doctors makes a poignant conclusion to the Tea Hill Trail walk. 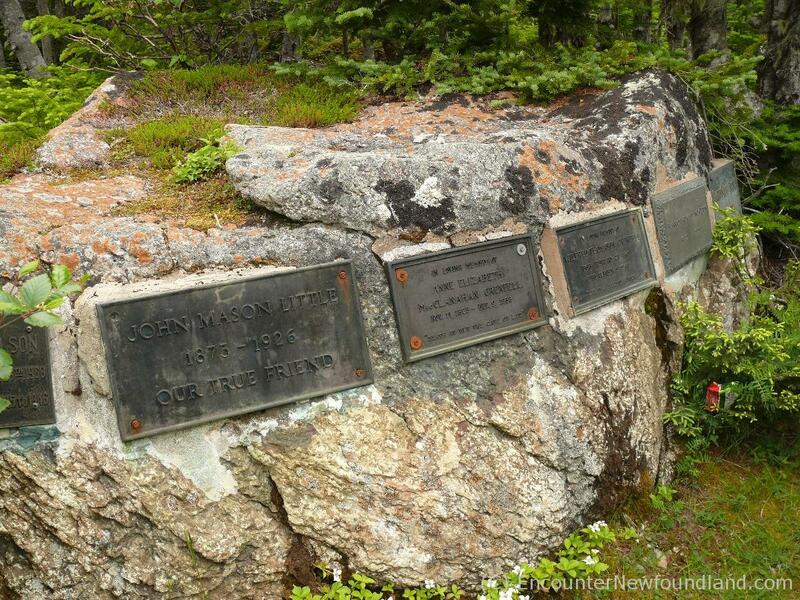 Plaques that mark the grave of Dr. Grenfell and his wife Anne are free of religious symbolism and bear only a simple quotation to mark their lives.